Bradford made this last week for me and it was so good. Love the grill!! Remove from marinade and sprinkle with favorite spices – Cajun or lemon pepper would be good too! 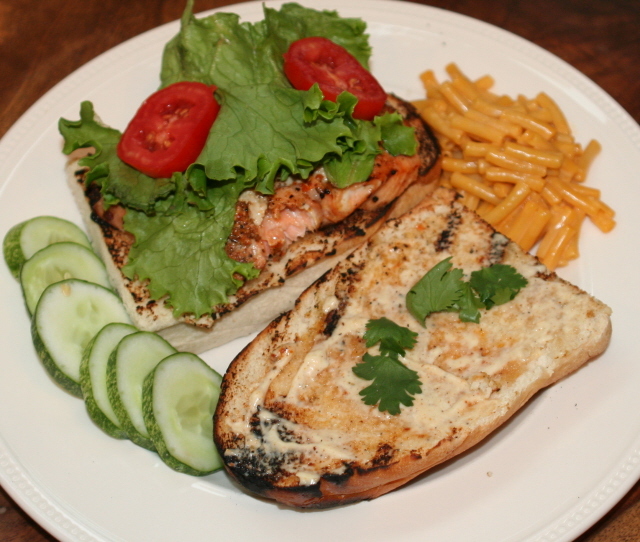 Grill salmon and bread. Assemble.